Our one-off cleaning service in Alperton is ideal for those who are not looking for a regular clean. It is ideal for those one-off jobs that require a professional. A large cleaning job can take up a lot of time and involve hard work which is not how you should be spending your spare hours. One-Off Cleaning treat you as an individual and will design a package to suit your needs and budget. We work around the hours and a schedule that will suit you so that we can keep disruptions to a minimum. We just want you to come back to a fresh clean home or office in HA0 so that a weight off your mind has been lifted. We can come to you in an emergency, the end of tenancy, after a party, or event. Whatever it is that you might want for your one-off clean, you can rely on our professional team to get it done. We make sure to get into all those places that may have been previously overlooked such as skirting boards and extractor fans, we get your upholstery looking fantastic again and your floors looking as though they have never been stepped on, all at a price that’s reasonable. We would love to tell you more about what cleaning services we offer, so get in touch today on 020 3397 3282. 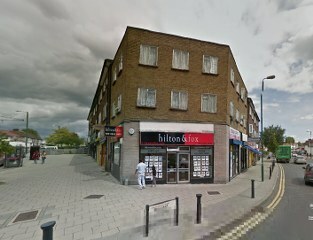 Alperton is located in the London Borough of Brent and is an up and coming area for an exciting move. Situated in North West London it is great for commuters who prefer to travel by car with several major roads running through the area, such as Ealing Road and Bridgewater Road. For those looking for public transport there is always Alperton Station on the Piccadilly line and Hanger Lane’s central line nearby. Nestled in the postcode district of HA0, Alperton was once home to several famous footballers and several other famous faces started out here. Popular with many families for several years, the area has often been used to film episodes of the TV soap EastEnders. With nearby areas including Wembley and Ealing, there are plenty of places to go for some night life, good restaurants, cafes and shopping facilities. Alperton has always been catching on quickly and is becoming a convenient and easy place to live, with everything you need not far from your doorstep. One-Off Cleaning can bring in our own equipment and safe detergents so that your home or office in the local area of HA0 is ready to use again the moment we have left. The importance of a lovely clean space has no limits and can really affect your mood, so leave it to the one-off cleaning professionals to get your home back in order. If a stain has been bothering you for months or you just feel like you can’t manage all the dirt as it’s had too much time to build up, then a one-off clean is the perfect thing for you. We go the extra mile to make your home look at its best again and we will fit around you. 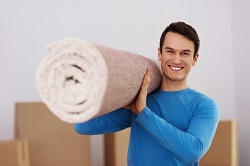 Our cleaners are experts in one-off cleaning and we have the experience to put together a package that will suit you. We are trusted by all our clients in Alperton and work locally to offer the best prices in the area. We can remove grease and grime and sort out those kitchen cupboards, our staff are experts in all cleaning tasks so give us a call today on 020 3397 3282 and a member of our team will be delighted to hear from you.